Heading out on two wheels is a great way to explore; whether you choose a road bike or mountain bike you won’t be disappointed. 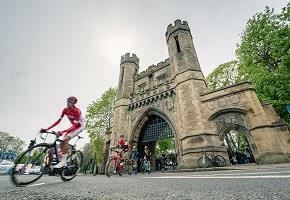 An obvious choice for road cyclists is to come and ride a section of the Grand Depart, Tour de France 2014 or the Tour de Yorkshire. The route passes through large areas of Bradford district including Ilkley, Addingham, Keighley and Haworth. The route is signposted so you can feel confident you can relax and enjoy the stunning scenery whist re-creating a section of the greatest cycle race in the world. For those of you that like your cycling off the tarmac, the Bradford district, and surrounding areas, offers some great opportunities. 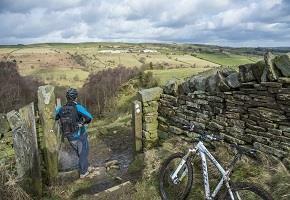 You can ride the Pennine Bridleway; which offers cyclists the opportunity to explore the Pennines' ancient packhorse routes and newly created bridleways. The Calder Aire Link provides a link from the St Ives Estate near Bingley to the Pennine Bridleway Mary Towneley Loop in Calderdale. It is suitable for cyclists though a mountain bike recommended and is needed due to the nature of some of the terrain on the path. You will pass Cullingworth and Oxenhope while there's some truly spectacular scenery as you pass the beautiful Leeming and Leeshaw Reservoirs before finishing near Widdop. For family friendly routes there is the Airedale Greenway connecting the towns along the Leeds Liverpool Canal. Or why not explore the Great Northern Railway Trail which takes in a number of attractions throughout Bradford district. The disused railway tracks are an excellent way to safely enjoy the countryside and see the natural beauty of the area. 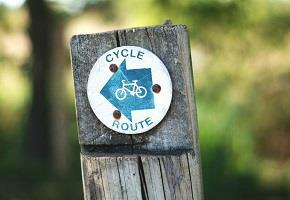 So come on, get on your bike and explore our fantastic district!